Wow, I have a fan club? Apparently I have a fan club. I totally thought she started it, but she didn’t. A person I don’t even know in real life started a fan club for me! Quite the ego boost. But I didn’t join because, well, that just seems conceited. 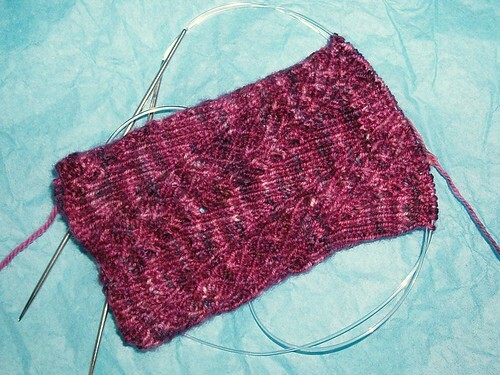 The pattern is Nebula and the yarn is Three Fates Knitting. 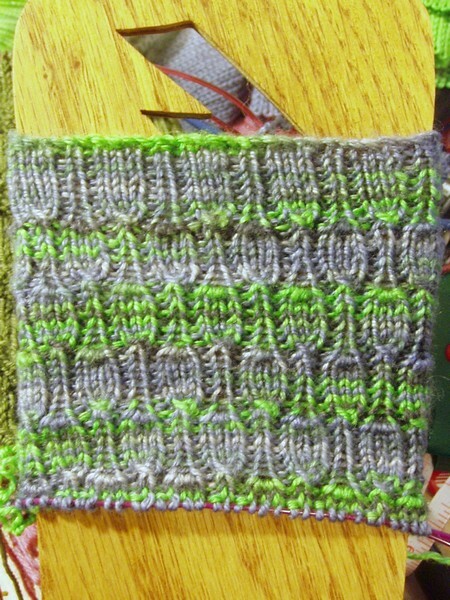 It’s a sample sock for Sock Summit, and I think it’s turning out beautifully. Way back in March, right before moving away from Salem, I started making twin Horcrux Socks with Eloise in our Harry Potter Draco yarn from our mini yarn crawl to Twisted. And today I finally finished them! Although the Harry Potter yarns are an exciting idea, I didn’t really like most of the colors. But blues and greys, though a bit boring, aren’t bad. 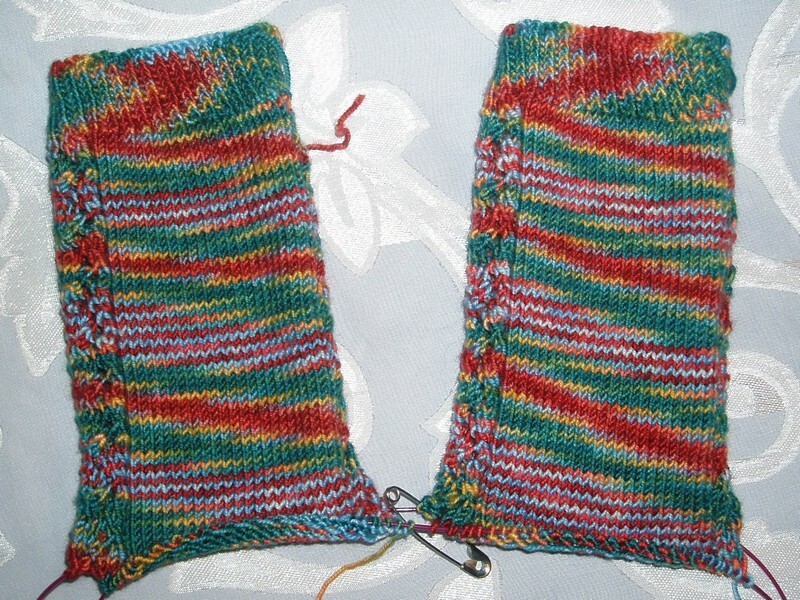 One weird thing was that after my psycho efforts to match the stripes exactly, they get all wonky after the heel. But there wasn’t a knot! Just all of a sudden the order of the stripes changed! Strange but true. So I’ve joined Summer of Socks, because it’s summer and I’m planning to knit socks as I usually do. 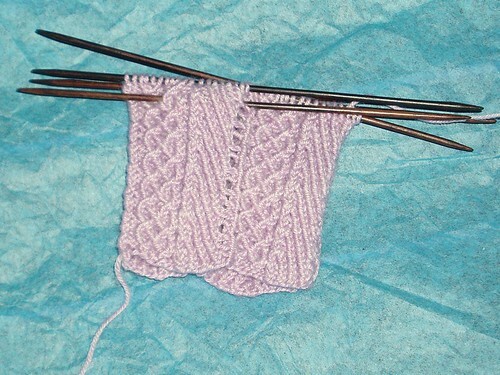 I’ve decided that my first goal will be to finish all my sock-WIPs this summer, this is 1 of 9 1/2. 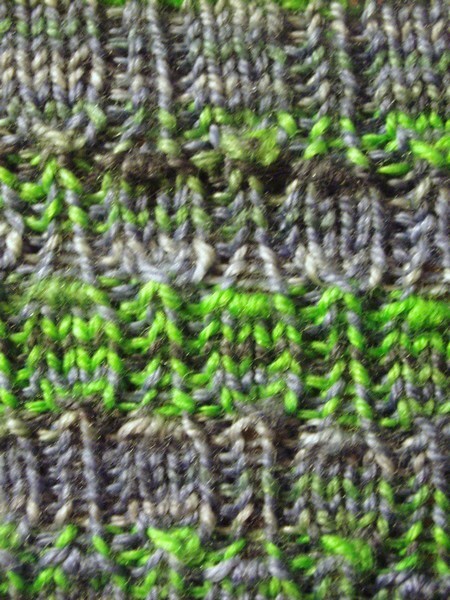 I have 22 WIPs on my Ravelry page. In truth, I only have 20 because 2 of those are actually design projects that are complete, but that I haven’t marked as FOs because I like to wait til I can show pictures. In this case I might have to bend that rule. I go through phases of casting on, I’ll start many *many* projects and I’ll work on them all a little bit at a time – or at least a good portion of the projects, there are a few that have been lonely a while. 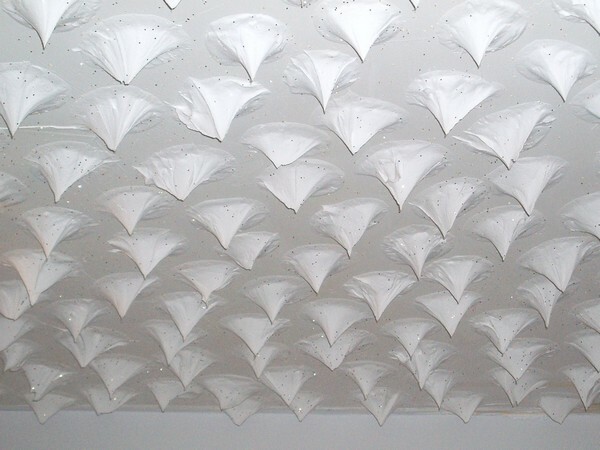 Then finally I’ll finish them, and it will look very impressive like I finish a lot of things at once. That is a trick. Here are a few pictures, mostly of ones that I seem to be lacking photographs for entirely. 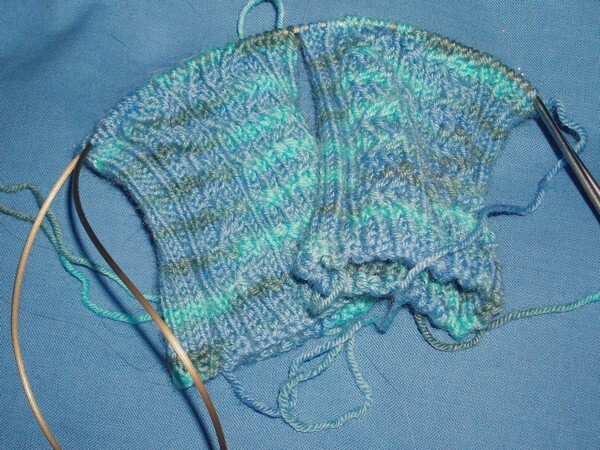 I started the Horcrux socks as twin socks with Eloise back in Salem I think. The yarn is the Harry Potter Opal in Draco. These are some plain socks I promised to Snarfy because the yarn color scares me, and apparently she finds it “OMG hot!” I was happy to relinquish it to her, but since I haven’t used this brand of yarn before – Dashing Dachs, if you’re curious – I thought I should actually knit the socks myself. And for something a little different… one sock! Today I got a lovely card from my Valentine’s Day swap pal. Click to embiggen if you can’t read it. Now, I see two problems with this situation. #1 (noted in red) – The collection envelope states there is 34 cents postage on the envelope, when there is very clearly $1. #2 (noted in purple) – My SP went into the post office and had a postal worker weigh and put the postage on this envelope – that is apparent from the kind of label which is on it. I know, I spend lots of time at the post office, and even the label from the APC is not like that. So even if there *is* 34 cents postage due, that is not my fault and not my SP’s fault! Sorry USPS, you’re just going to have to eat that 34 cents since it was your own mistake. After being incredulous, I was actually quite amused by this. Thanks SP for inadvertently giving me some extra amusement today. 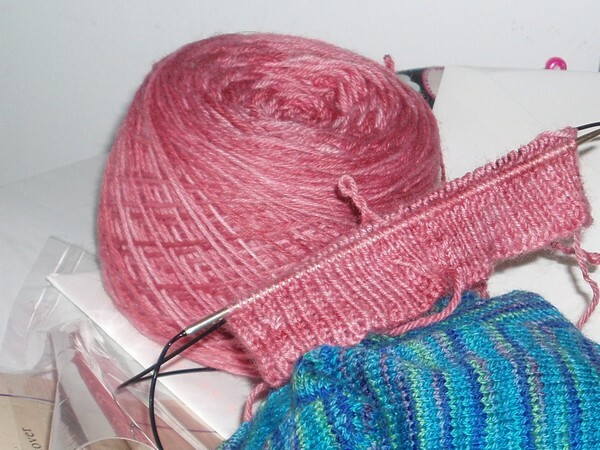 And yes, this post is only very tangentially related to knitting. Sorry. Um, look, socks! No New Yarn In March! Earlier this month I decided to pledge not to buy any yarn in March. Next month will be a big one for me with my birthday, my trip to Seattle and subsequent yarn crawl, and sock camp. Eep! But I knew that March was a month when I could be good and avoid yarn purchases. And I’ve succeeded – yes I know that tomorrow is still March, but I promise not to buy any yarn tomorrow either. 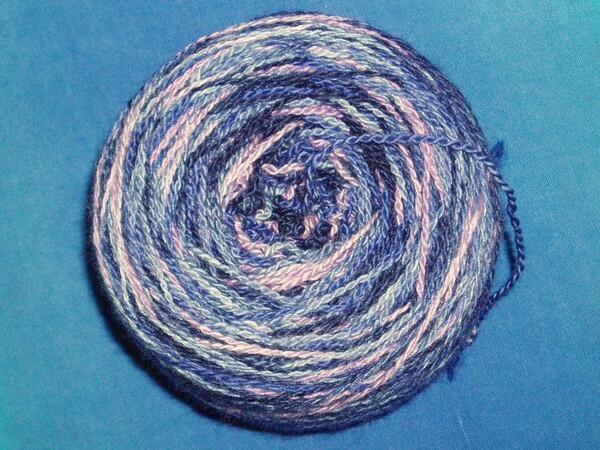 Of course I did still receive sock yarn from the Rockin’ Sock Club, but that was purchased previously. 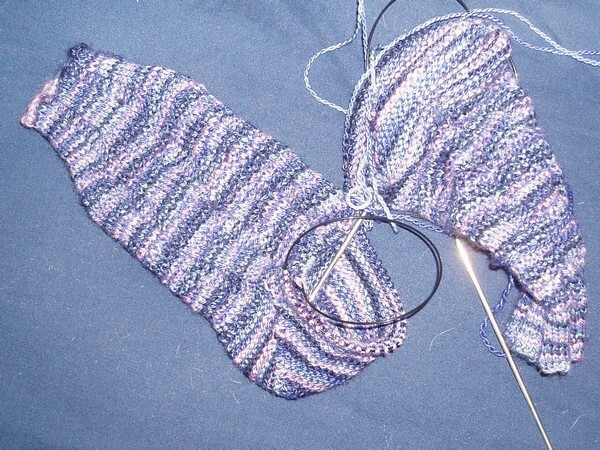 I did do quite a bit on my Undulating Rib socks in the Flat Feet. 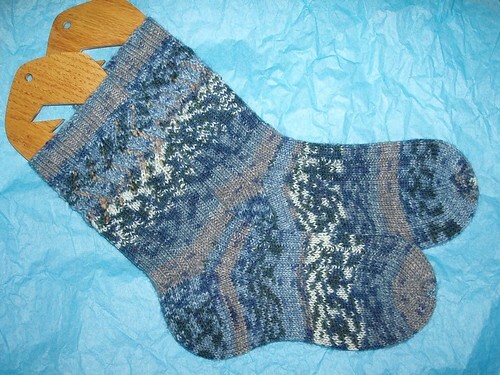 The yarn is still fine to work with for me, and the socks are coming out much like socks with any other hand dyed yarn. 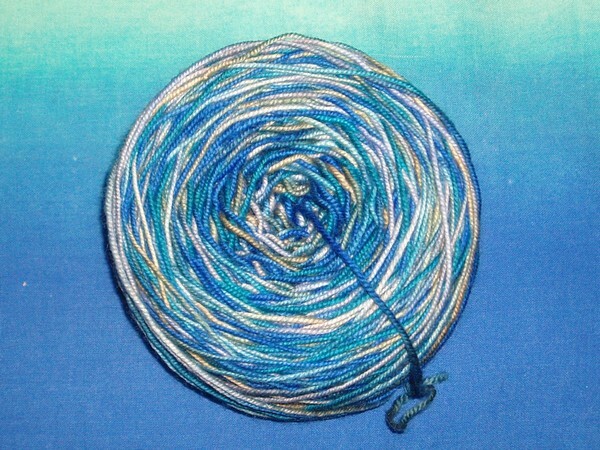 I think if the flat had been one of the more “artistically” painted ones that might not be the case, but as it was – three vertical stripes – it was quite like what a hank of that given size would be if you dyed it in the skein. 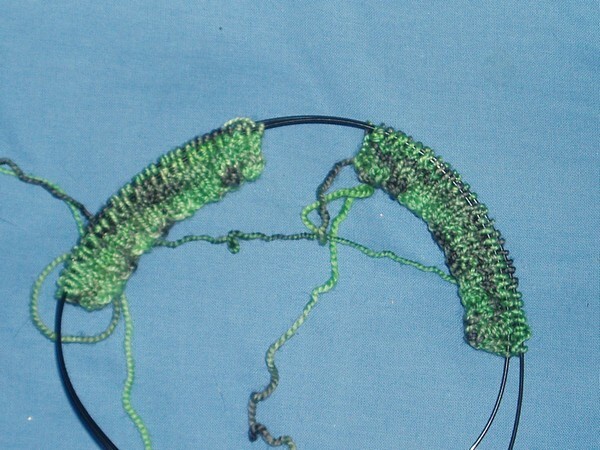 As you can see it’s knitting up in the spirally pattern that’s common in handpainted yarn. Very pretty though! Also I think my stitches look a little less even than when I’m knitting with yarn that comes in a more normal (skeined) put-up. I’m sure that will block out just fine. 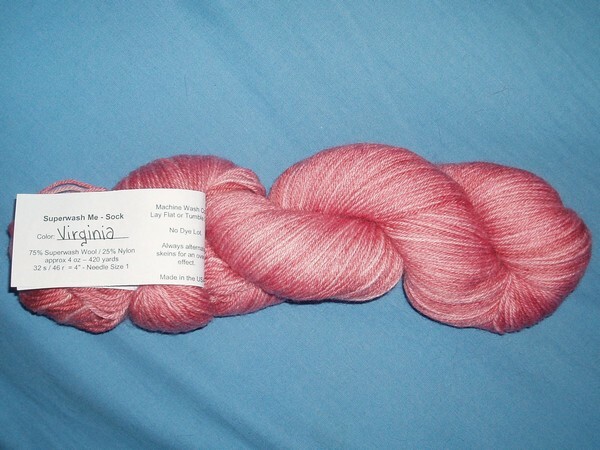 I arrived home on Wednesday to find some pink yarn in my mailbox. See, pink ribbing! Oh, come on, you didn’t really think I was going to show you anything secret did you? The California Socks in progress snuck into the picture too. They’re actually getting a bit of attention after every few rows of the pink socks to give my hands and brain a bit of a rest. Look at that blue beauty! 2. I succeeded in this by trying the Panda Cotton (which I bought on my holiday trip) and Inspinknity. The Panda Cotton socks were started in December, so Inspinknity is my official January New Yarn. 3. I started my newest RSC package as soon as it arrived and I’ve made good progress so far. The yarn is wound and ready for Marble Arches as my February RSC sock. 4. 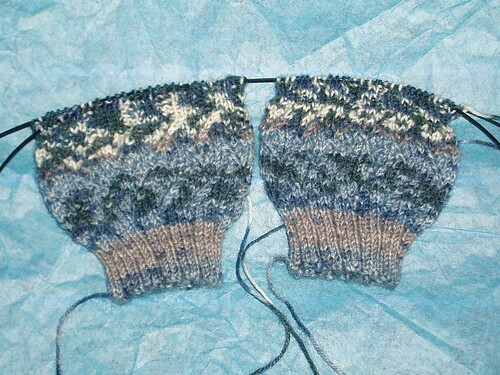 No progress on the sweater yet. 5. 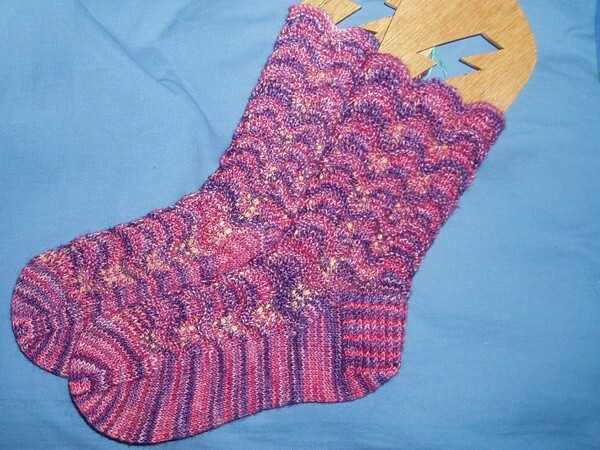 I finished the Olympia socks this month, which were technically a 2007 WIP. 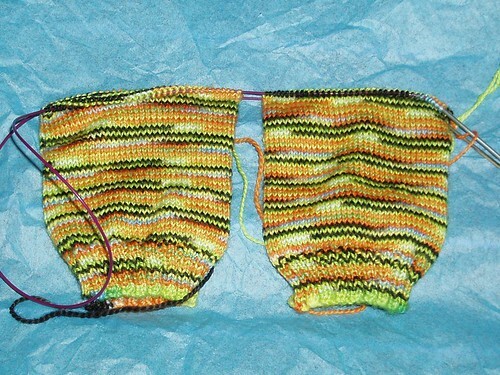 I did frog Canal du Midi and make good progress on the California socks. I also found and made minimal progress on Mystic Sea – I intend to work more on those this month and finish them before sock camp in April for sure. Ok, so that’s not exactly true. 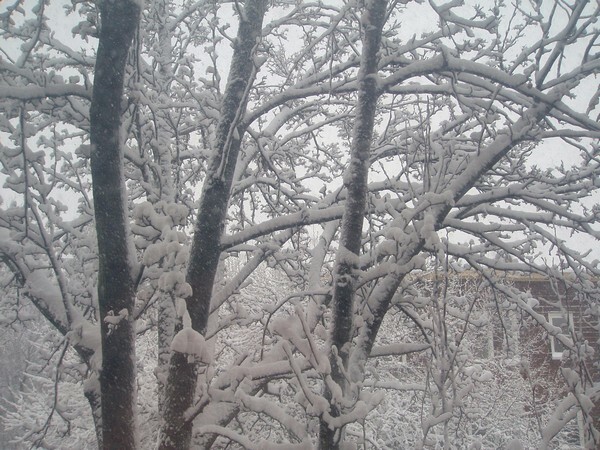 I knew we were expecting lots of snow so I woke up when my alarm went off, called the weather emergency line, learned that work was closed, went back to sleep for an hour, woke up again and *then* looked out the window. I finished these socks last night. Bye Canal du Midi socks. I know I said I would knit you for Rachel, but you have been haunting me for so long now it really isn’t funny. What, 18 months or so? I just hate knitting you so much! Besides, I have a feeling you would be too small anyway. 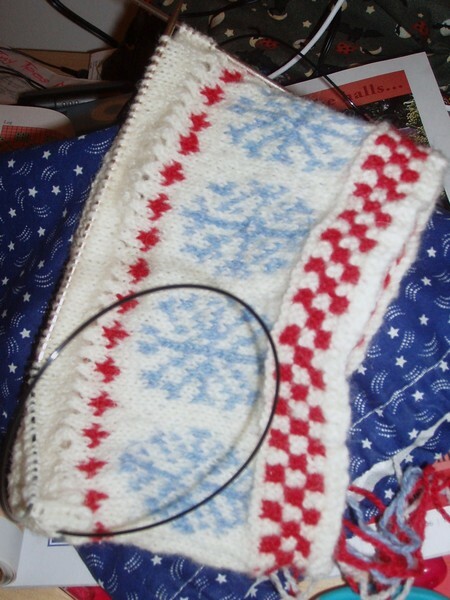 Instead I will pick another less crazy-inducing pattern and finally knit her the promised socks. Hello BFF socks! I told Cathy I would knit her some socks with her cursed Koigu a while back, and you seem like a good choice. In fact, yesterday was her birthday so I took the opportunity to start you then!